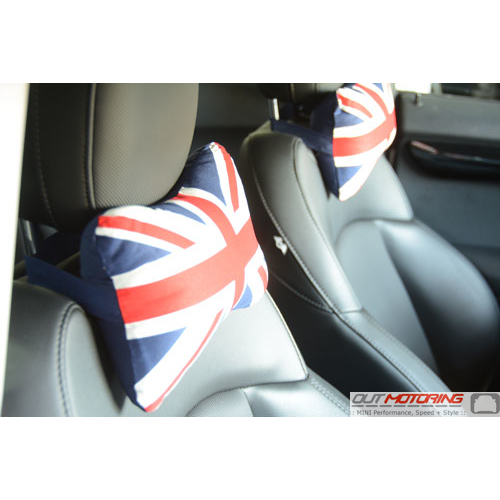 This set of 2 headrest pillows is one of those accessories that not only looks great in your vehicle, but serves a great purpose as headrest pillows to take some stress off your neck on long drives. 10"x6". Sold as a set of 2. Available in Union Jack or Black Jack.